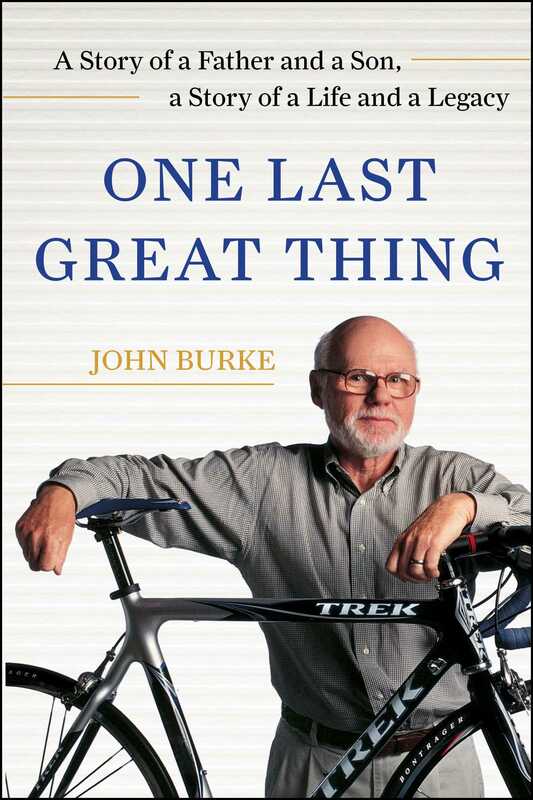 A powerful, honest, and inspiring tribute to the incredible life of Richard Burke, the founder of Trek Bicycle Corporation, written by his son John. Richard Burke, known to many as “The Big Guy,” was a legend. With his friend Bevil Hogg, he founded the Trek Bicycle Corporation in 1976 and then went on to establish the company as one of the leading bicycle companies in the world. He was a man who called his son, John, his best friend. Indeed, they did many great things together: ran the Boston Marathon, followed the Tour de France throughout France, and later ran Trek together. In March 2008, he passed away after complications of heart surgery. The Big Guy touched people’s lives in countless ways, and his passing was deeply emotional for many. Now John (current president of Trek Bicycle) has written a powerful tribute to the incredible life his father led and the ways in which he was an inspiring businessman, leader, and person. Taking readers deep into the history of Trek, John shares how his father taught, trained, and instilled in him the confidence and desire to be a leader. A portrait of a great man, the book culminates with John telling his father on his deathbed of their twenty greatest moments together. This is an intimate portrayal of a father-son relationship filled with poignant experiences and lessons on how to get the most out of life. John Burke began working at Trek Bicycle in 1984 and has been president of the company since 1997. In addition to leading Trek, John served as chairman of President George W. Bush’s President’s Council on Physical Fitness & Sports and is a Founding Board Member of the Bikes Belong Coalition. A native of Madison, Wisconsin, John is an avid cyclist and runner and has finished Ironman Wisconsin as well as the Boston and New York Marathons.